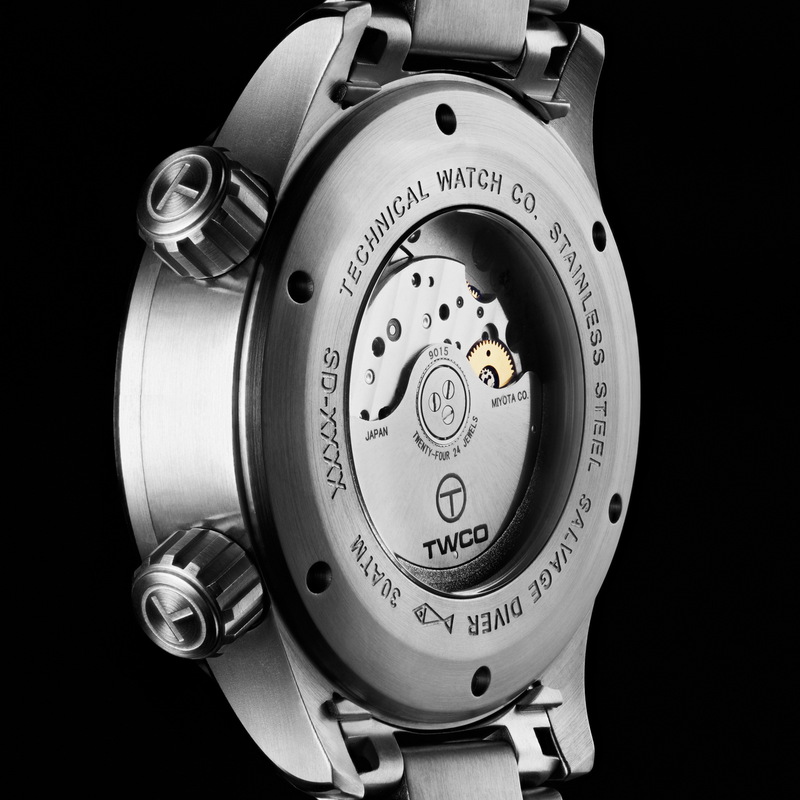 By TLex This is the new Salvage Diver from TWCO in the Netherlands. 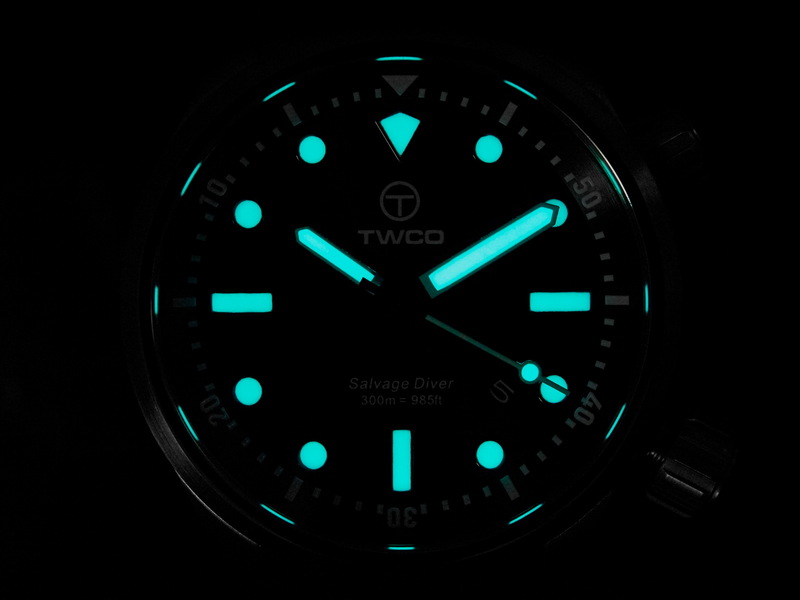 It follows in the footsteps of the Sea Rescue Diver and recently released Sea Rescue Diver TACTICAL, a natural progression in TWCO’s collection of dive watches designed for the toughest of marine environments! 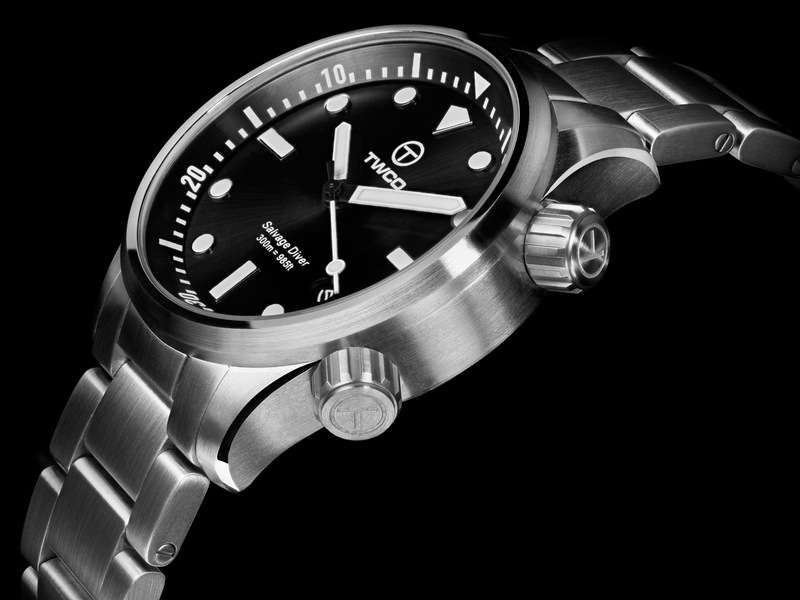 Made from 316L marine-grade Stainless Steel, the Salvage diver which measures 43mm in diameter by 14mm thick with a lug to lug measurement of 51mm has a number of divers features such as its bidirectional internal bezel. It is also fitted with a double-domed Sapphire crystal with an anti-reflective coating on its inside. 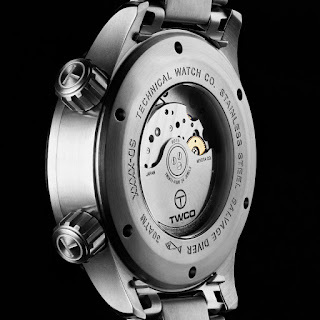 Its Japanese made Miyota 9015 with custom TWCO rotor can be viewed through a Sapphire crystal exhibition caseback. 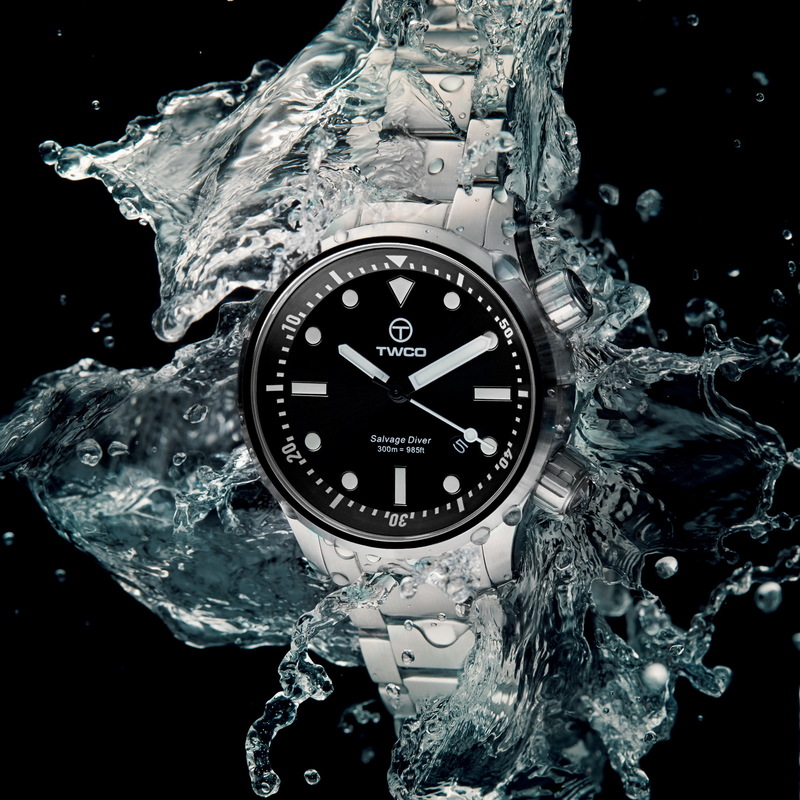 It has a water-resistance to 300 meters deep. 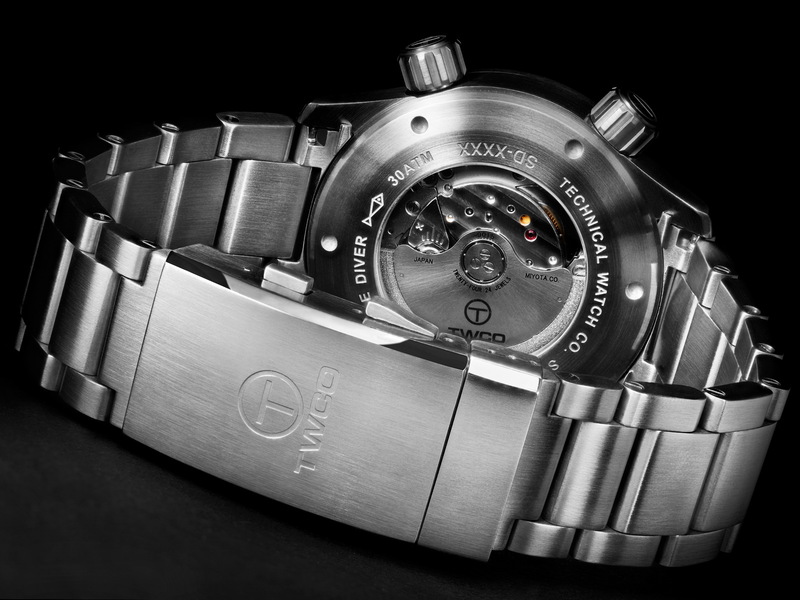 Its dial is in matte black with white hands and markers that have both been applied with BGW9 SLN which emits a blue light. The case with its polished and beveled edges has some familiarity about it but I can’t put my finger on anything specific. 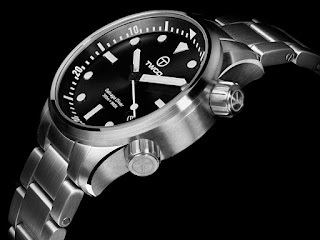 Ultimately such a solid looking diver with a super clean and simple style is always going to be appealing. Its price is 777€. 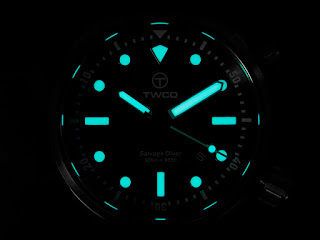 Follow the link embedded below for more on the new Salvage Diver from TWCO. 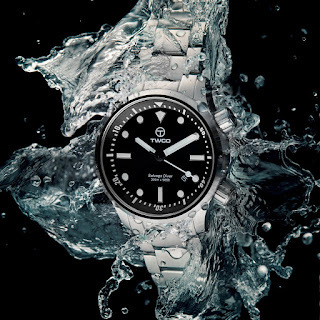 The case looks a lot like the SAWC Master Diver to me.